Our luxury vehicles are ideal for corporate hire, tours of any length and a wide variety of travel needs. Take the strain out of travelling to that special event. We provide transport from all over West Lothian to most major events. From day tours to long stay tours, we provide luxury travel with friendly and knowledgeable drivers and guides. For school trips, sports travel or club holiday and tours we have a range of travel options. 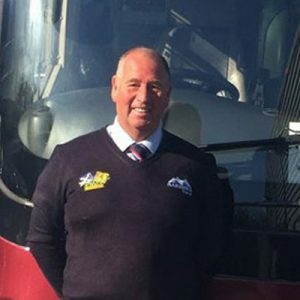 My name is Ian and Hardhill Executive Travel is a family business run by me and my two daughters. We have a range of buses from 12 to 54 seats. No matter what your needs we offer a flexible, no nonsense service with price agreed up front. Our drivers are friendly, helpful and knowledgeable. We will turn up on time and will do all we can to ensure you have a safe, comfortable and relaxing journey.